Hey, I’m 360 wave process Rashaad. I have been waving since the 9th grade of high school. I am currently (2015) in my junior year of college and still waving strong! Here I will let you know the top three things that led me get my full 360 wave pattern to the point where it is now. You may have seen my waves on my YouTube channel or on my older blog post from the past, but if you have’t I recommend you visit the channel to see as well as subscribe for the bi-weekly how to get 360 waves videos. For me, the top factor that led to my success of getting waves and maintaining them has had to be my social circle, In particular my family and peer group. When beginning my process, I had an awesome family circle that comprised of first, my family, second my friends at school, and later the 360 wave community on the internet. As a beginner my cousins’ who were around my age led me to stay motivated to keep my brushing at a maximum level. 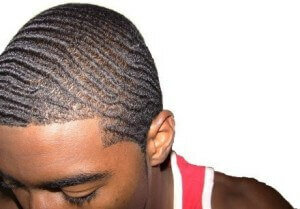 We would have conversations about it and we all wanted to have the best waves. That challenge alone to have the best waves was a huge motivator to for me. Away from my family circle I was subjected to my peer circle at school. This circle was filled with my friend also into waving and others who did not understand the waving lifestyle. My high school was predominately Hispanic at my time of attendance and as a result I encountered many people who didn’t understand why I would be brushing my hair constantly almost every few minutes all through out the day. Those people jeopardized my motivation because as we know what people don’t understand they tend to ridicule. To deal with people who don’t understand the lifestyle you need to have confidence in your self to push against the norms and social conditioning that non understanding people try to subject you to. This is what I suggest beginners to get them selves into a good circle of supportive people. If you don’t have a peer group of people who you know that are also into waves, then you are in luck because you can join the 360 wave process wave family and community here on this site and on YouTube. Joining this community will increase your chances of getting and maintaining 360 waves as well as give you the support you need when facing people who don’t understand what you are trying to achieve.